350mm/14" epoxy coated in white, bottom mounted, self closing metal slide. Load capacity of 25kg/55lbs. 32mm hole pattern is used. Sold as complete set. 400mm/16" epoxy coated in white, bottom mounted, self closing metal slide. Load capacity of 25kg/55lbs. 32mm hole pattern is used sold as complete set. 450mm/18" epoxy coated in white, bottom mounted, self closing metal slide. Load capacity of 25kg/55lbs. 32mm hole pattern is used. Sold as complete set. 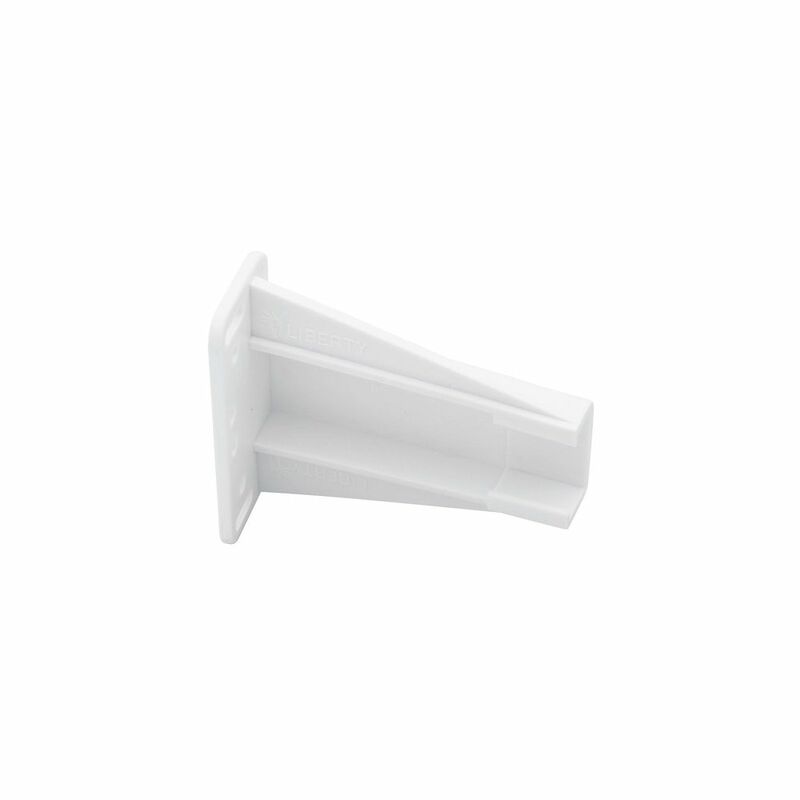 Side & Bottom Mount Drawer Slide Sockets - 2pk Liberty 3 in. Face Frame Sockets for Drawer Slides (2-Pack) complete a drawer slide assembly set. They allow easy drawer slide installation, creating a sturdy, reliable and functional drawer. The slide system includes left and right slides, along with the mounting hardware. Side & Bottom Mount Drawer Slide Sockets - 2pk is rated 3.5 out of 5 by 42. Rated 2 out of 5 by Richard from Did not fit the slo-close liberty drawer slides well. Returning... Did not fit the slo-close liberty drawer slides well. Returning product to store was easy and painless. Rated 5 out of 5 by Michele from Yes, they were easy to install, and they work great.... Yes, they were easy to install, and they work great.